Ben (Duhamel) is an ambitious, young lawyer with his whole life ahead of him. Hungry for his first major case, he uncovers some startling information about fraud pertaining to Pearson Pharmaceuticals, a big business headed by an executive named Arthur Denning (Hopkins). 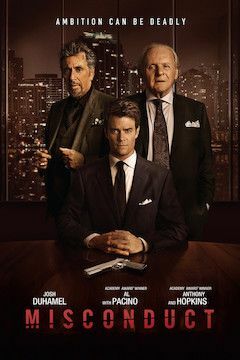 When Ben gets the green light to pursue the case from one of the firm's partners (Pacino), he's thrown into a world of blackmail, greed and corruption that could have deadly consequences. Now, Ben needs to unearth the truth about the case before he loses everything.